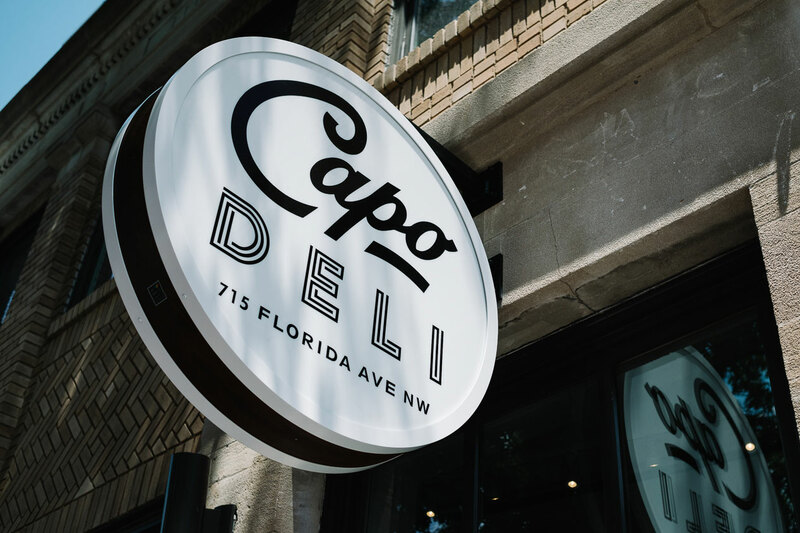 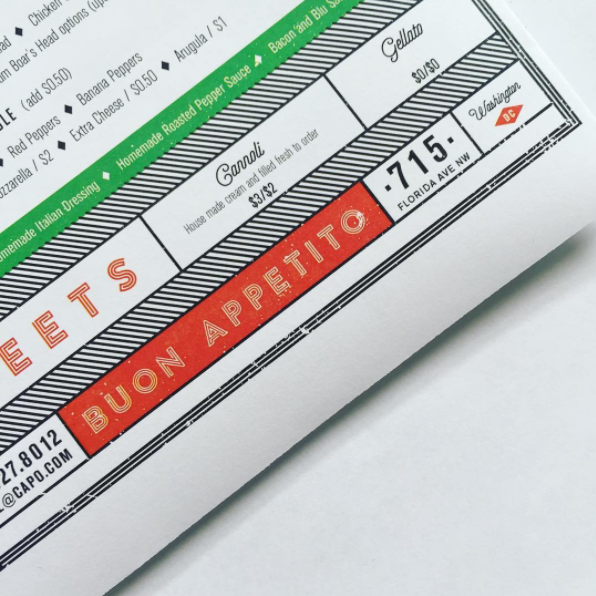 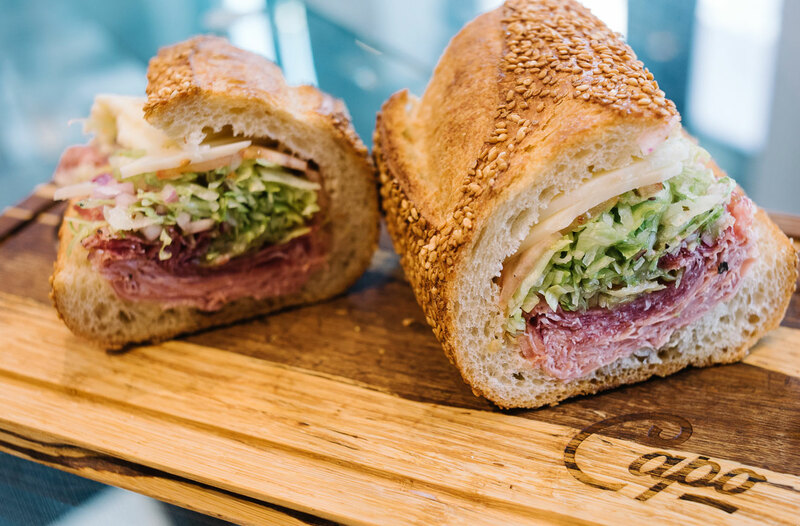 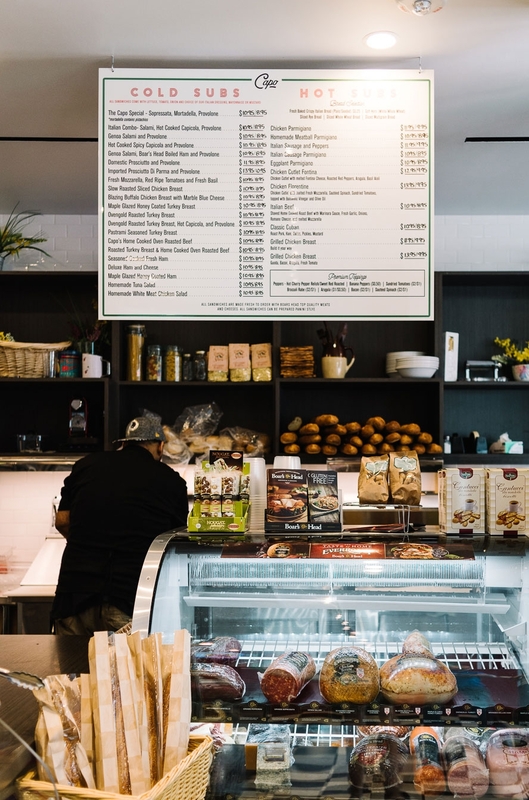 From the beginning of the inception of Washington DC restauranteurs Andy Seligman and Brian Vasile’s latest venture, ‘CAPO Delicatessen’, we were involved in the look and feel of all assets from logo, to website, to physical signage and menus. 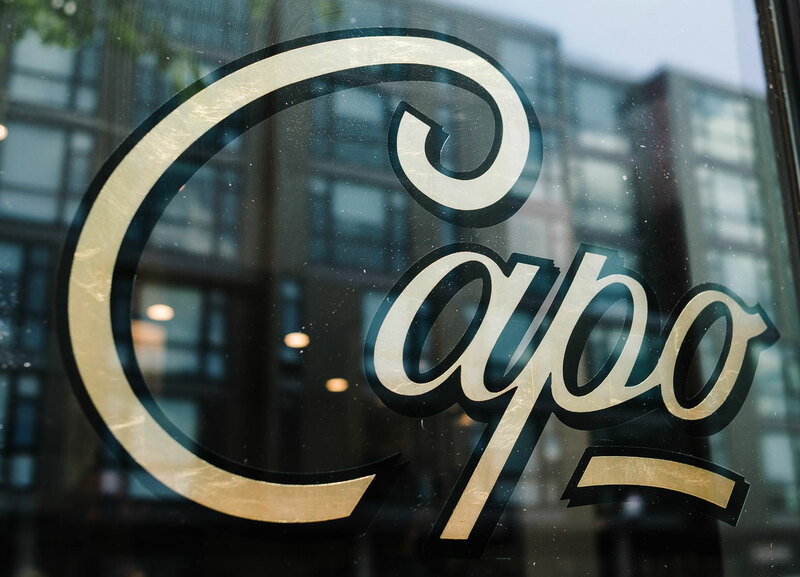 What finalized was an amazing adventure in fabrication and design direction for this new addition to the restaurant landscape of NW DC. 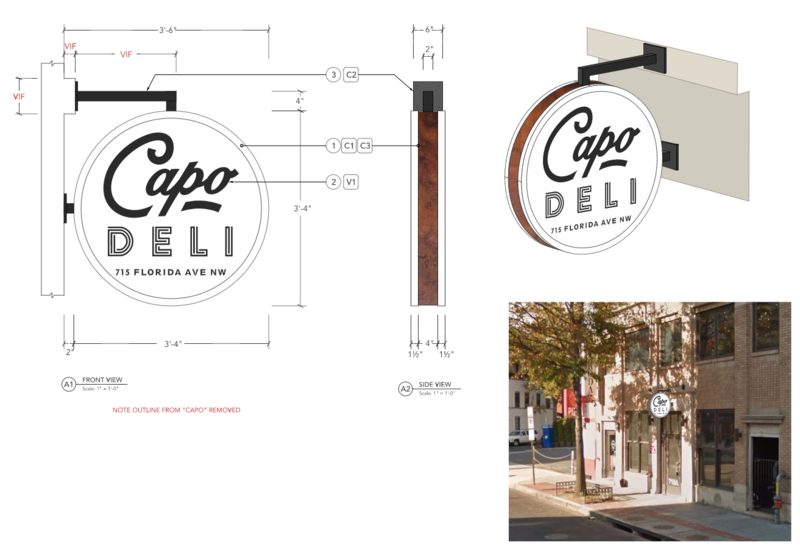 We worked directly with Art Display Co. (www.artdisplayco.com) in the fabrication of the outside signage as well as the amazing folks at Gropen (gropen.com) to produce our enameled aluminum menu boards we designed. 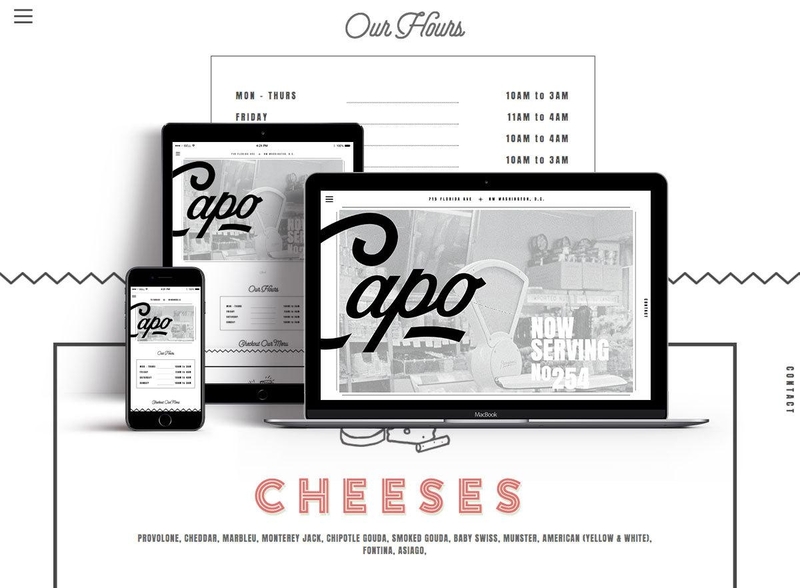 This was also a project we felt would be a great collaboration with our close friends at New England Foundry (nefoundry.com) when designing Capo’s menus.